The city of lovers. Dante fell in love with it. Shakespeare chose it for the setting of his most famous tragedy. 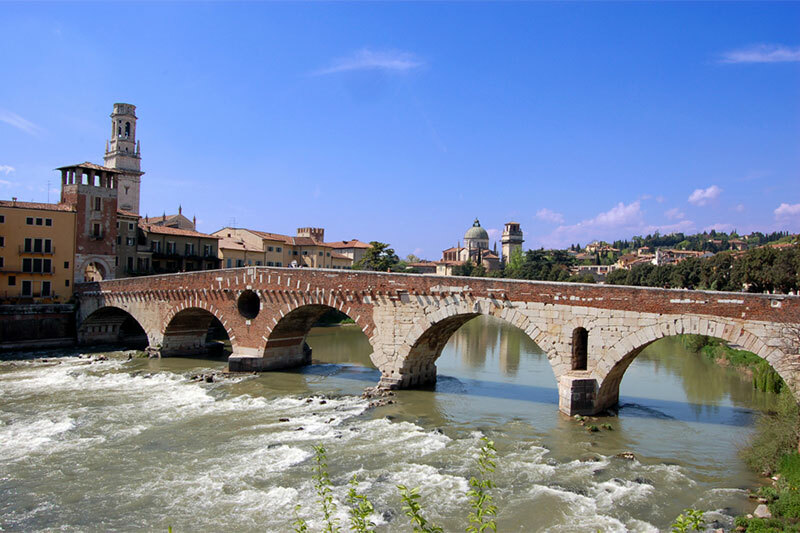 The historic centre of Verona holds a great number of attractions. Where to start? 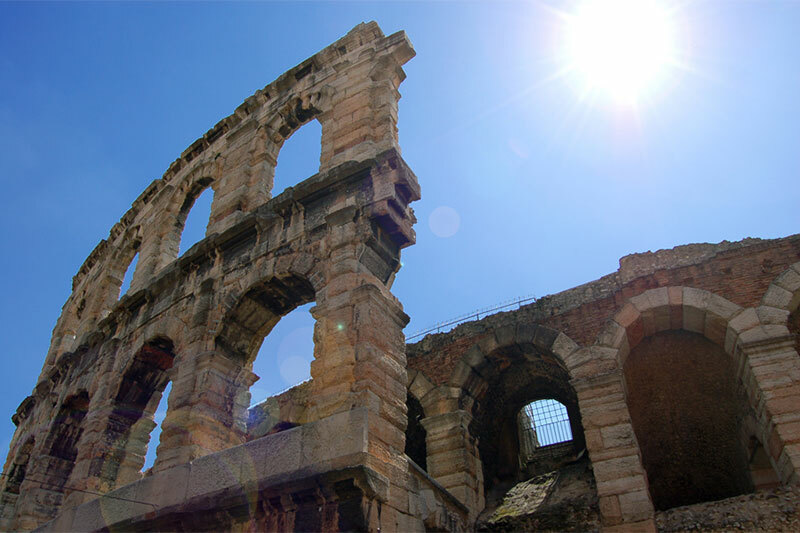 The classic tour can’t help but start at the Arena, almost 2,000 years old. Right in front of it is the Piazza Bra, while on its western side is the Liston, the classic Veronese esplanade. 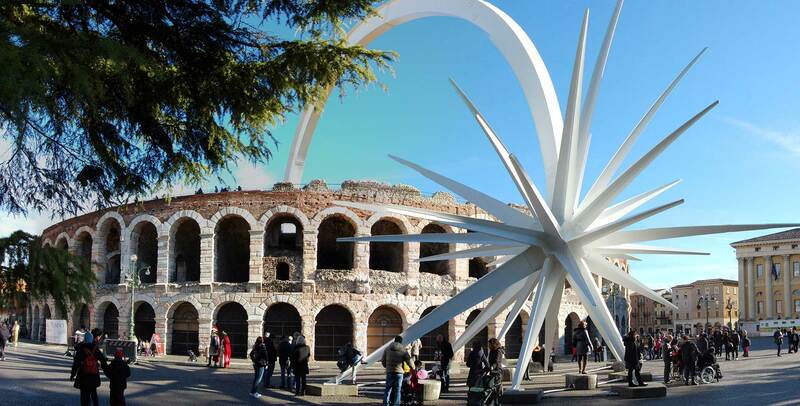 For a breathtaking panorama of the city, climb up onto the Torre dei Lamberti, 84m high medieval towers that are the tallest of the older constructions in Verona. 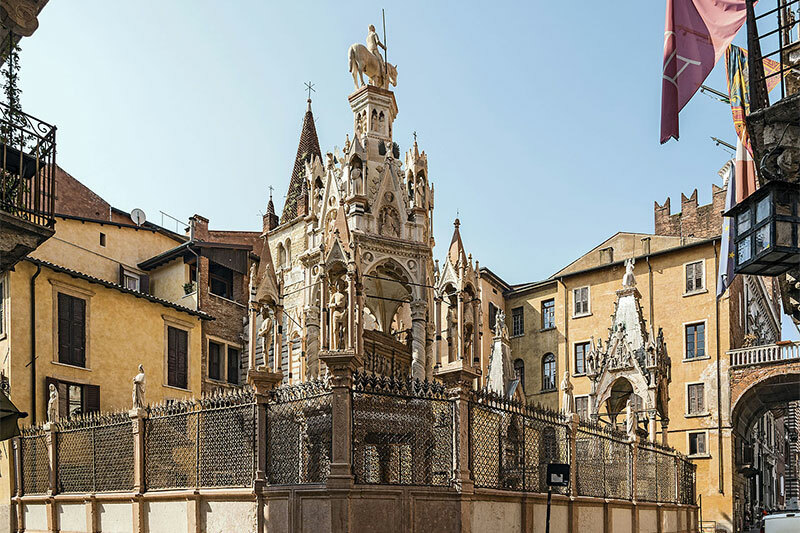 If you want to discover Shakespeare’s Verona, your first stop will be the Casa di Giulietta, traditionally inhabited by the Capuleti family. You’ll find it on Via Capello, just a few steps from the Piazza delle Erbe. Hundreds of lovers flock every year to the balcony to exchange a kiss and a promise of love. On the Via delle Arche Scaligere you’ll find the Casa de Romeo – a private dwelling. But the real promise of love, Juliet’s oath, is the wedding celebrated with a civil ceremony in one of the rooms of the Convento di San Francesco al Corso. Between the Adige and the hills of San Pietro is the Teatro Romano. Just on top, in the vicinity of the Ponte Pietra, is one of the most romantic places in the city, the Castel San Pietro, also known as the balcony of Verona. 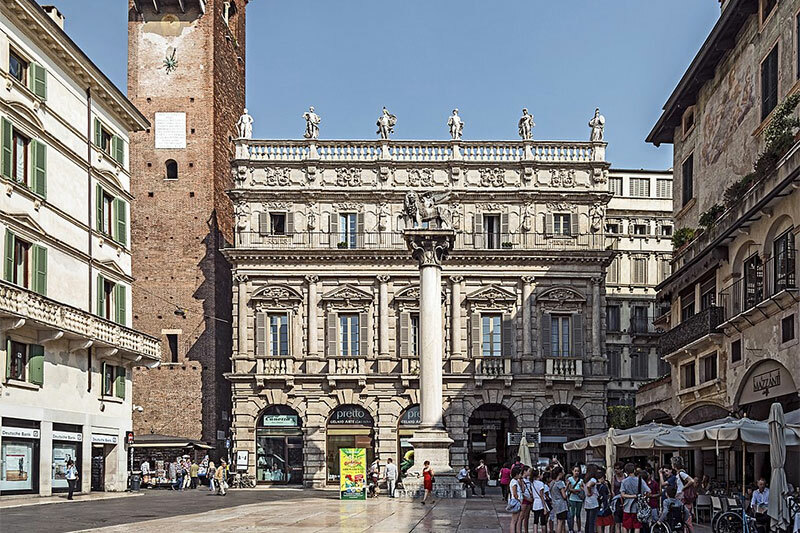 Among the most picturesque locales of the old town, we’d recommend the Piazza delle Erbe, the oldest plaza in Verona, surrounded by elegant buildings and dotted with the stalls of the charming fruits, sweets and specialties market.